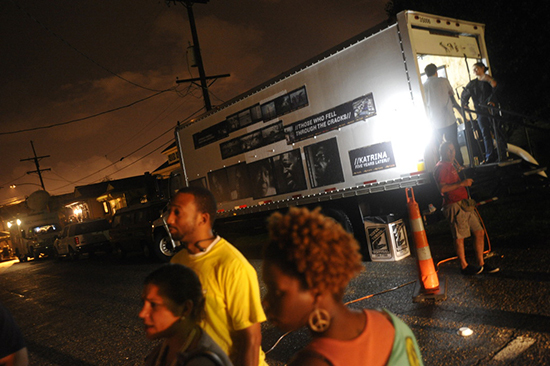 August 2010 marked the fifth commemoration year of Hurricane Katrina. 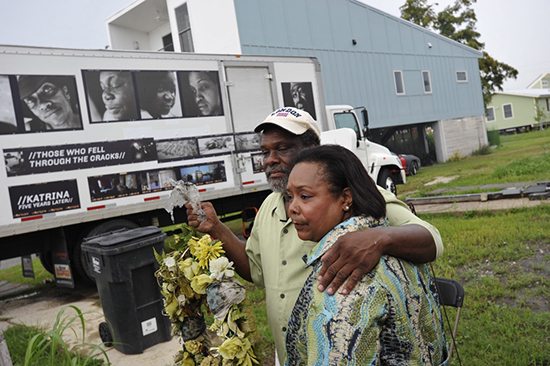 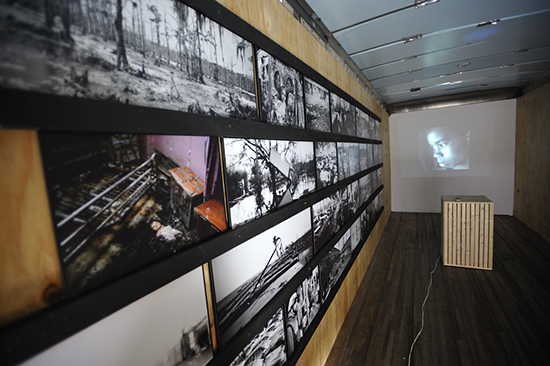 Kadir van Lohuizen and Stanley Greene exhibited images from their longer-term projects on Hurricane Katrina’s devastation and the aftermath in a truck-exhibition. 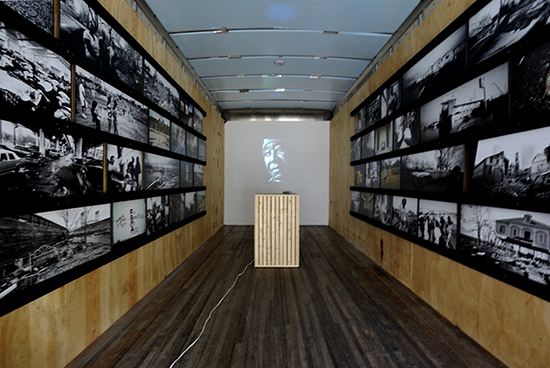 Photographs covered the interior and exterior of the 24 foot truck that drove from Houston to New Orleans. 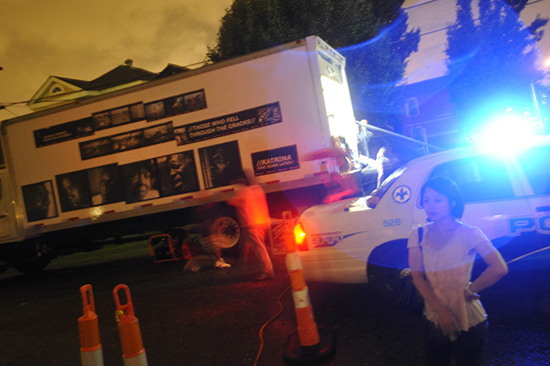 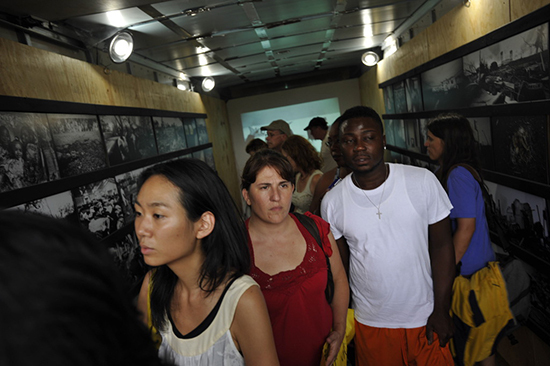 The traveling street exhibition “Those Who Fell Through The Cracks”, a portrait of the American social condition in the 21st century, was accompanied by a series of events.